Kitchens are the heart of the home and number one on the buyers wish list. Become an expert on layout, cabinetry, handles & knobs, bench tops, appliances, sinks and tapware. Styling is all about creating a look that appeals to the widest market possible. On-trend is fine but steer clear of anything too “out there”. Learn to master flooring, color, styling, lighting and finally kerb appeal. You don’t have to spend a fortune to get a winning bathroom design. Learn the essentials on baths, showers, vanities, basins, toilets, tiles and accessories. This introduction explains the language and theory of design, laying the foundation for the following modules. These are the rules and guidelines that dictate the layout, placement of items, and the style and use of all spaces. You simply need to browse this section for now, as we’ll be putting all of these principles into practice throughout the following modules. This module runs through typical housing and apartment styles in Australia. Why do you need to know this? Because each design period has specific features that not only identify that architectural period, but give the dwelling its unique character. Retaining these elements will almost certainly add value to your property. This is one of the most important decisions you’ll make: which interior design style best suits your property and, most importantly, your target market. This is the key to unlocking the full profit potential of your renovation. You want a consistent look and feel throughout your property. Run through the key interior styles, their identifiable features and create the “look” for your property just like a designer using our interactive ‘moodboard’ app. Placement of furniture and accessories can either provide a comfortable, logical flow throughout the home – or create a clumsy obstacle course. Strategically placed doorways, island benches and furniture can control how people move through the property. Don’t underestimate the enormous impact this has on things like perceived size and dimensions of your rooms, allowing you to present your property in the best possible light. The effect that colour has on our moods makes it one of the most powerful and cost-effective tools for any renovator. In this module, we will be discussing the theory of colour, why certain colours have more impact than others, and the rules for why some combinations simply work. 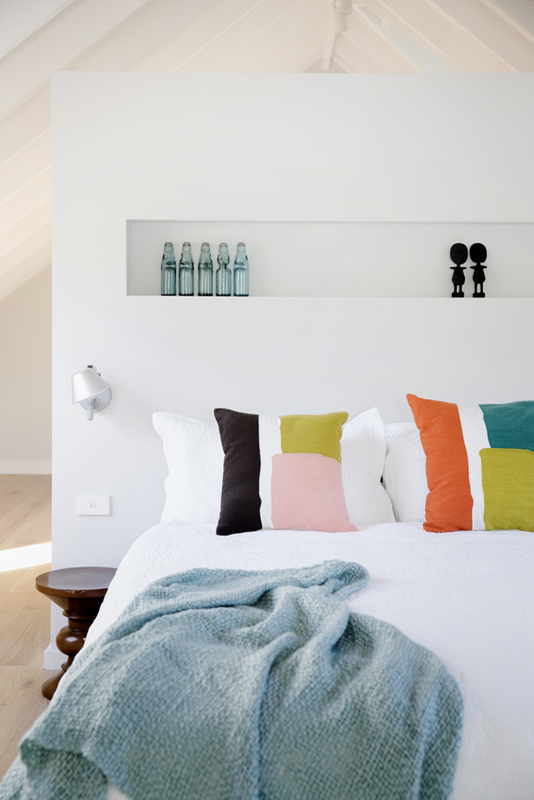 We will show you how to create a successful colour scheme for your renovation. Flooring, along with paint, is the unifying effect that pulls rooms together. It has to suit the style of property, be practical and, of course, it has to look good. With so many options to choose from, this module takes you through the common the types of flooring available and how they might be applicable to your property and budget. Your kitchen is going to be one of your property’s biggest selling points, so you absolutely have to nail it! There are many decisions you’ll need to make, from the layout, to style of cabinet finish, choice of benchtop, splashback, lighting, appliances, sink, taps, even the type of hardware, like knobs and handles. Understand kitchen design and know how to select the right combination of materials and finishes to suit your property and allocated budget. The bathroom, along with the kitchen, is one of the most used rooms in the house. Getting your bathroom renovation right can earn you thousands of dollars in extra profit. It’s where presentation, function and styling all come together to create a winning outcome. The secret is allocating your dollars to the features and finishes that matter most to the market you’re targeting. Never underestimate the enormous impact lighting has.The correct use of light fittings and their placement can make or break a renovation. By the end of this module you will have a good grasp of the different types of lighting and the confidence to effectively communicate to your electrician all of your requirements and needs room by room. Styling, presentation and final tweaking of your renovation. It’s the phase some people choose to leave in the hands of professionals – and they will pay thousands of dollars for the expertise and knowledge of the people they hire, in the expectation it will be the master stroke that makes buyers fall in love with the property. Inspection day has arrived, so it’s easy to relax and drop your guard, and simply hand the reins over to your agent. BUT your job is not done yet. As we now know, presentation is everything and your potential purchasers will be dissecting every tiny detail of your property and renovation. These are the vital finishing touches that will hopefully reward all your hard work with a nice, fat pay check. Our final, bonus module is all about kerb appeal and your outdoor living spaces. Having worked hard to impress buyers with the inside of your property, you don’t want to put them off from entering your home with a sloppy façade. Your outdoor spaces should be an enticing extension, of your internal living areas. Unlock this module by submitting your Interior Design For Profit project work. We use our kitchens everyday, so it needs to look great and be a functional space to cook, clean and enjoy spending time in. A great kitchen is number one on a buyer’s wish list, so if you’re designing with profit in mind, a neutral, elegant kitchen with clean lines will appeal to the widest market. When it comes time to sell, your bathroom has to tick all the right boxes. But you don’t have to spend a fortune to get a winning design. Learn how and where you spend your money to get the biggest bang for your buck, in the priciest room to renovate. So when styling your own home or ‘for profit’ investment projects, take a lot of angst out of the process of furnishing and accessorizing your home by following what the display homes do. Remember to keep your home impersonal, but make sure it feels light, warm, and inviting. You’re not selling a house, you’re selling a lifestyle! Good styling will make a buyer love your house more than the competing house down the road, even when that other house may be bigger, better located, and has views yours doesn’t. Put plainly, this is the super fun bit! Over 9,500 Aussies have already been trained by Renovating For Profit and The Interior Design For Profit online course is the next exciting installment from this property education powerhouse. Find out what design industry professionals and our students have to say! When it comes to renovating a home and making a profit, Cherie Barber is acknowledged as one of Australia’s best talents .. combined with celebrity interior designer, James Treble .. to make the most of their homes, adding value through great design, styling and staging tips as well as ways to enhance the look and feel of your property. Kate St. James Grand Designs Magazine. Whether you’re a student of Cherie Barber’s Renovating For Profit course, a newbie renovator or a design obsessed DIYer, this course will teach what you need to know to style and design your way to Property Profits!